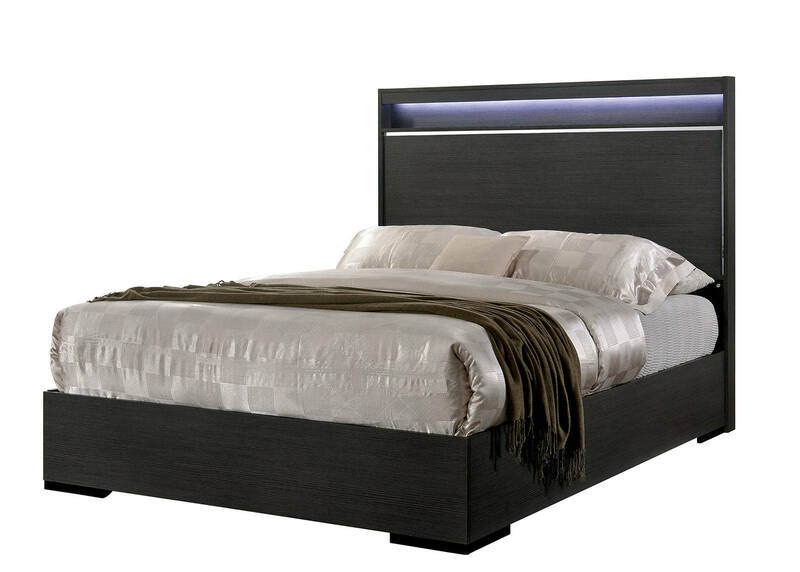 Offering a clean modern design and a no frills approach to ornamentation, this bed is your key to a sleek bedroom decor. The smooth gray finish keeps the collection grounded in sophistication. Chrome trim highlights add a spark of flash and vibrancy, accentuating the rigid angles and lines of the design. A shelf runs along the top of the headboard, allowing you to decorate with votive candles or something for the built in LED strip lighting to exhibit.